This is the hotel we’ve been waiting for. With a lot of imagination and intelligent planning, Manuel Berger, Walter Willimann and the team of the Hotel Beau Sejour have turned a romantic, dignified hotel into a modern, contemporary house. This is the accommodation we’d choose if staying in Lucerne. 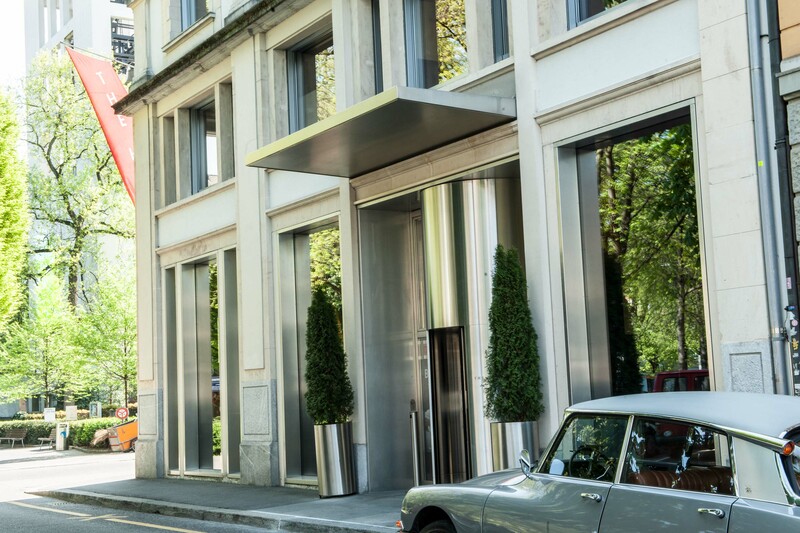 We’re counting on the first style and design magazines – such as Monocle Magazine – to soon discover this hotel. This one is spectacular. 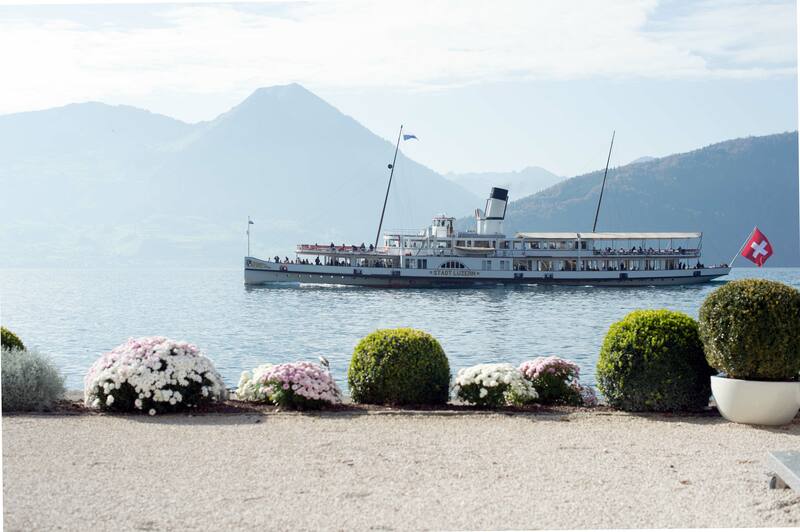 Even as you’re traveling there – we recommend taking the ship from Lucerne, then continue on the red cogwheel train up Mount Bürgenstock –, you’ll realize: this place is unique! 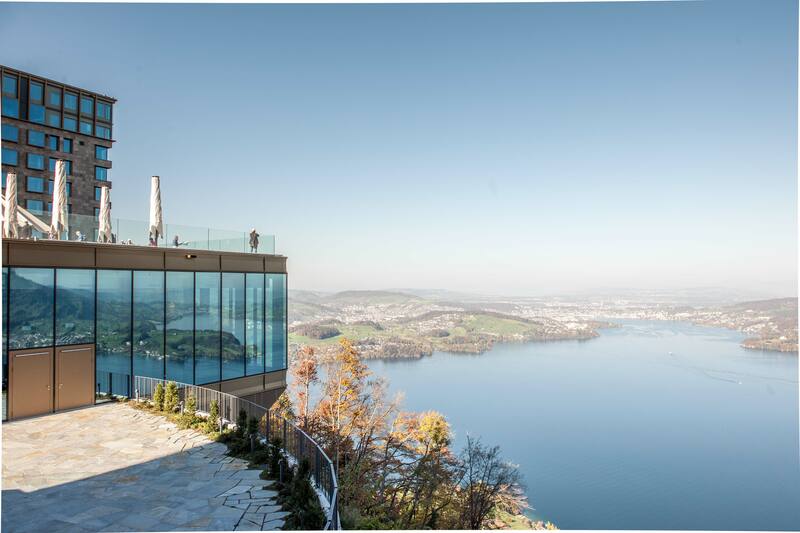 Up here you’ll find the best views of Lake Lucerne and the City of Lucerne, as well as a worldclass spa and a number of ambitious restaurants and stylish hotels. Mount Bürgenstock is among the foothills of the Alps and offers plenty of activities including light strolls, hikes, golf and tennis. Or you can always visit nearby Lucerne. Overall, it is the perfect spot to venture out from. 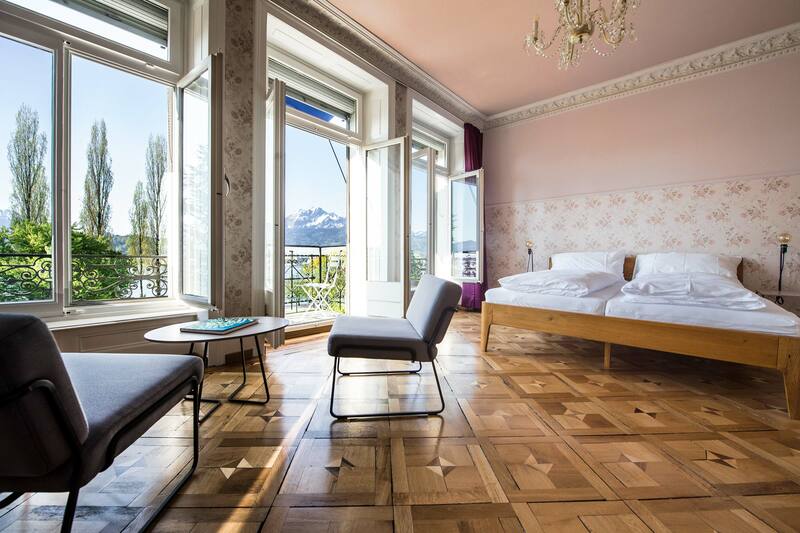 The Park Hotel Vitznau is one of the best hotels in Switzerland, and it’s situated directly on the shore of Lake Lucerne. It offers everything you’d expect from a five star hotel. Intricately renovated a few years ago, the hotel remains true to its decades-old tradition. The restaurant of this hotel sets new standards in central Switzerland. And you’ll reach Lucerne in 40 minutes via one of Switzerland’s most beautiful streets which leads you right along the lakeshore for the most part. 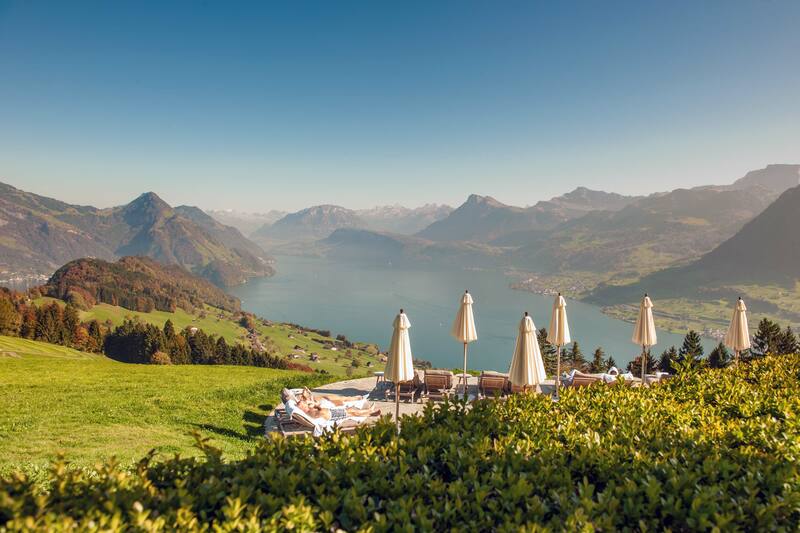 On the far side of Mount Bürgenstock, facing Ennetbürgen and the rising sun instead of the lake, this small, but great spa hotel offers a relaxing accommodation to enjoy summers in Switzerland to the full. At night, you might hear cow bells from afar, yet you are no more than a 25-minute drive away from Lucerne. When he stays in Lucerne, Jean Nouvel can book a room in a hotel of his own design. Having finished the world-famous Culture and Convention Center Lucerne, he was hired to design “The Hotel”. Doing justice to its confident name, The Hotel is the top design and boutique hotel in town.